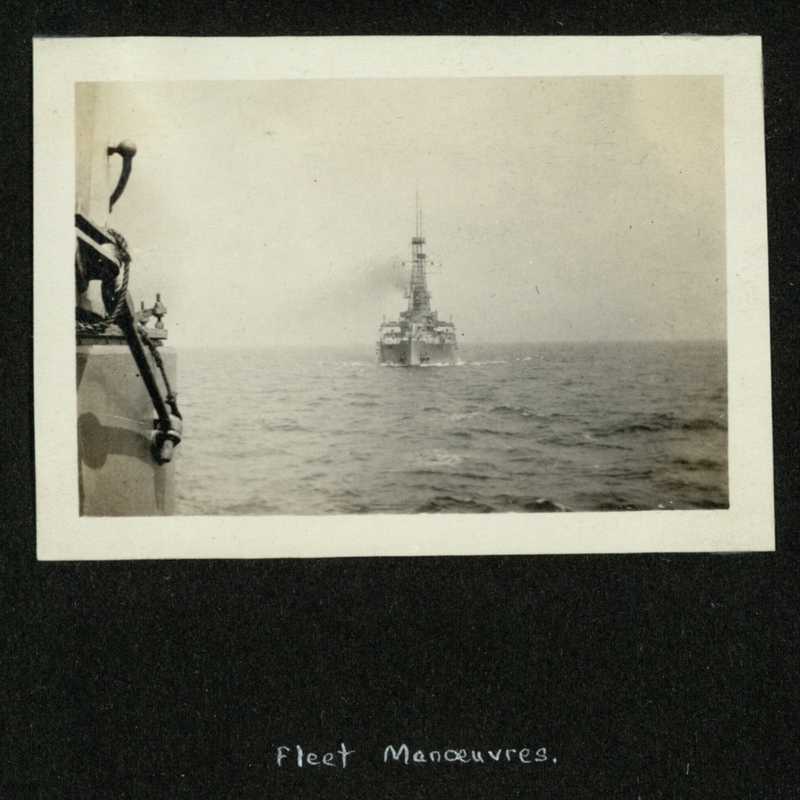 Front view of a ship performing fleet manoeuvres. Naval Volunteer Cruise on the U.S.S. "Rhode Island" Aug.-Sept. 1916. Outerbridge, George W. 1881-1967, “Fleet Manoeuvres. [Image 1],” The College of Physicians of Philadelphia Digital Library, accessed April 24, 2019, https://www.cppdigitallibrary.org/items/show/6258.